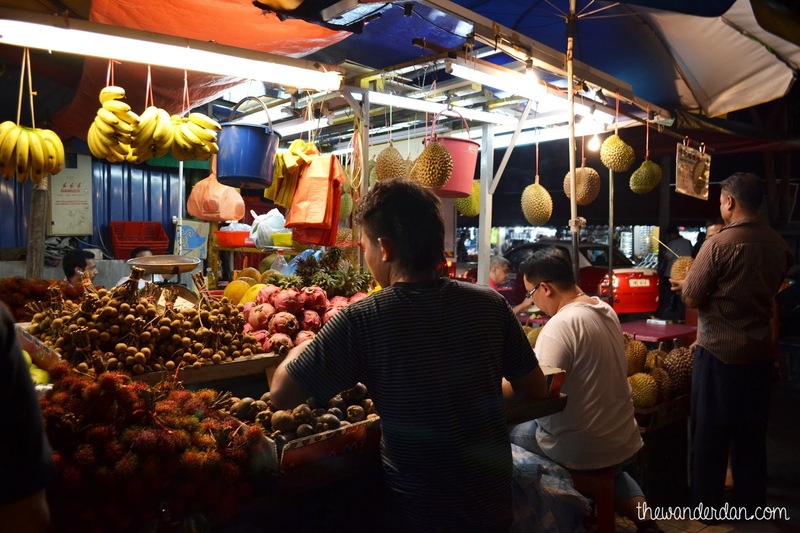 The Wander Dan | Beyond Itineraries: What Makes Malaysia, Truly Asia? 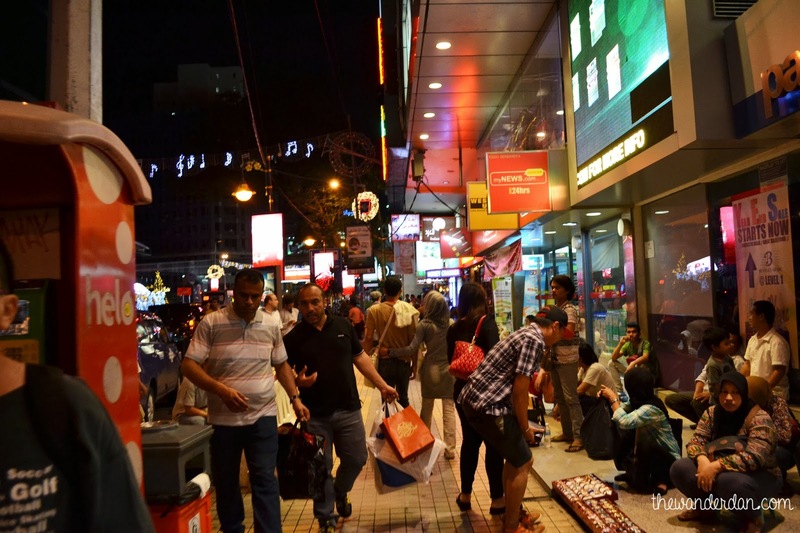 What Makes Malaysia, Truly Asia? 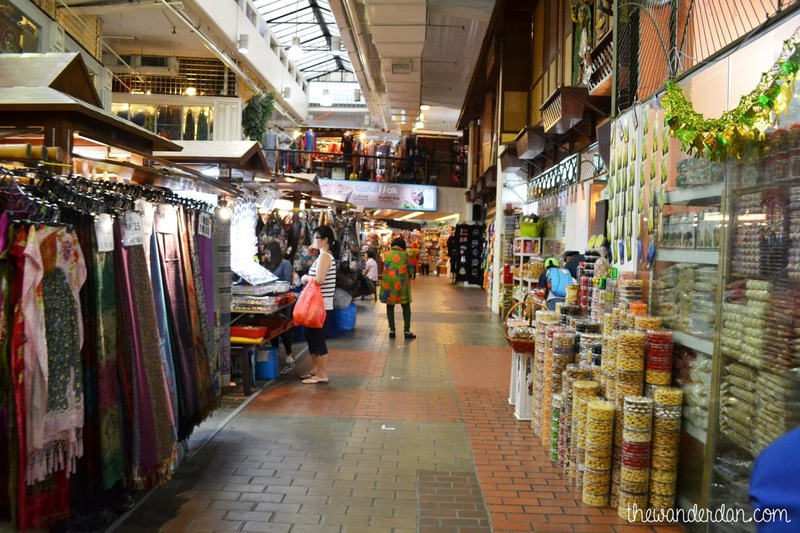 Being in Malaysia wasn't much of a culture shock for me because most of the people looks exactly from where I come from, hearing the language even made me feel like a local. Or maybe just a little bit. 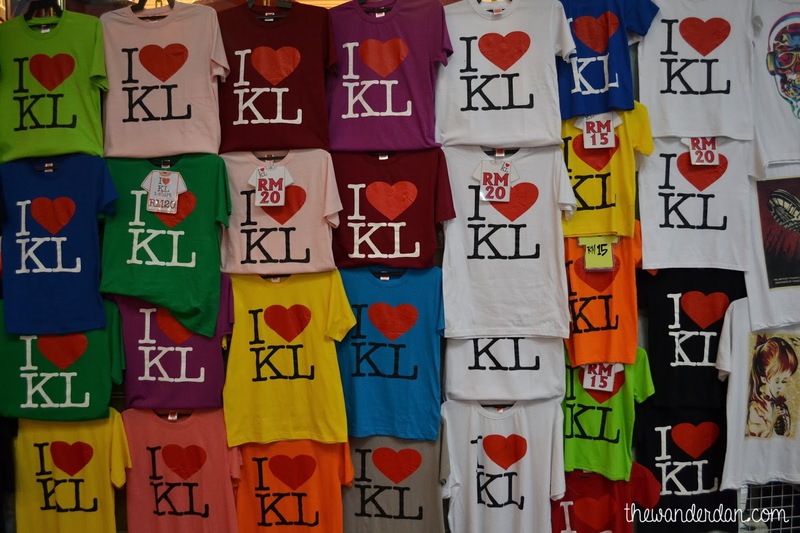 But there was something distinct about Kuala Lumpur, it could be due to its laid back, albeit modern and forward feel that makes it really interesting. 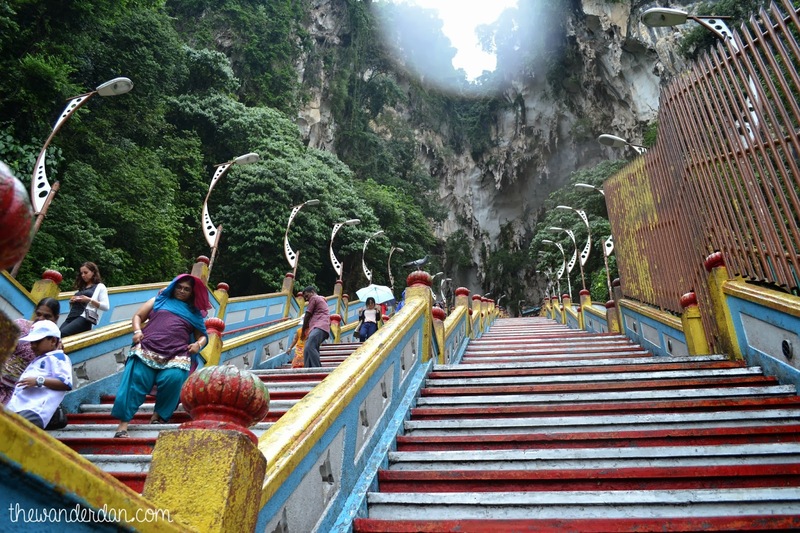 Whatever it was, I had six days in Malaysia and I was crossing my fingers that this would suffice for me to uncover why they call Malaysia, Truly Asia. The soonest my boss knew that I was leaving for Malaysia the next day, the first thing she told me was to try as much food as I can. I was looking forward about the food of course, but I wasn't very excited about it. Little did I knew that what my boss meant was to be taken seriously. 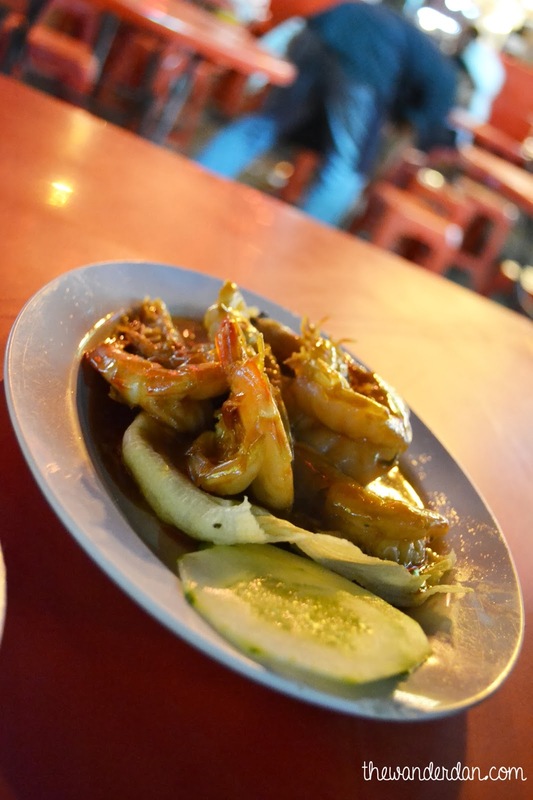 On my first night in Kuala Lumpur having arrived past eight in the evening, I was famished and was ready to eat anything that's edible. 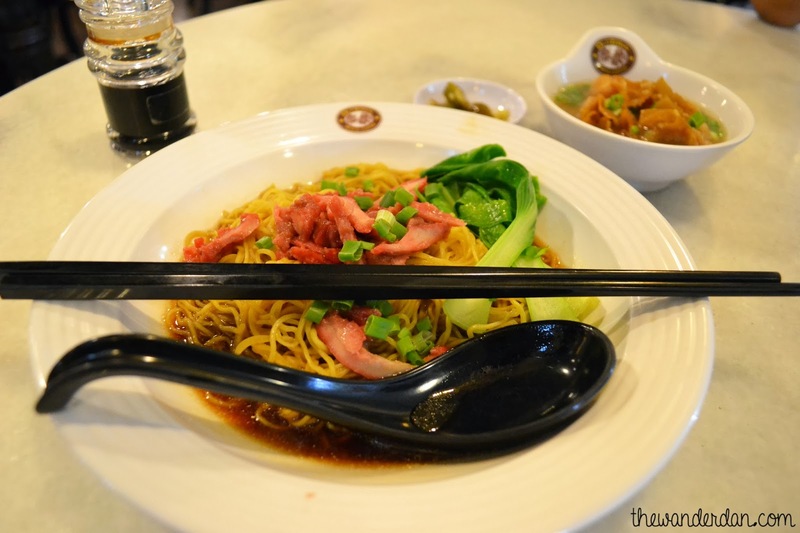 The Malaysian definition of edible was what welcomed me, a very tasteful pot of vegetable noodle soup and a platter of juicy deep fried marinated chicken, a mouth watering plate of beef and mushroom, freshly steamed dumplings and a glass of cold milk tea jelly, blended to perfection. The standards of my palette suddenly grew and I woke up each day to the excitement of what to eat next rather than what to see. 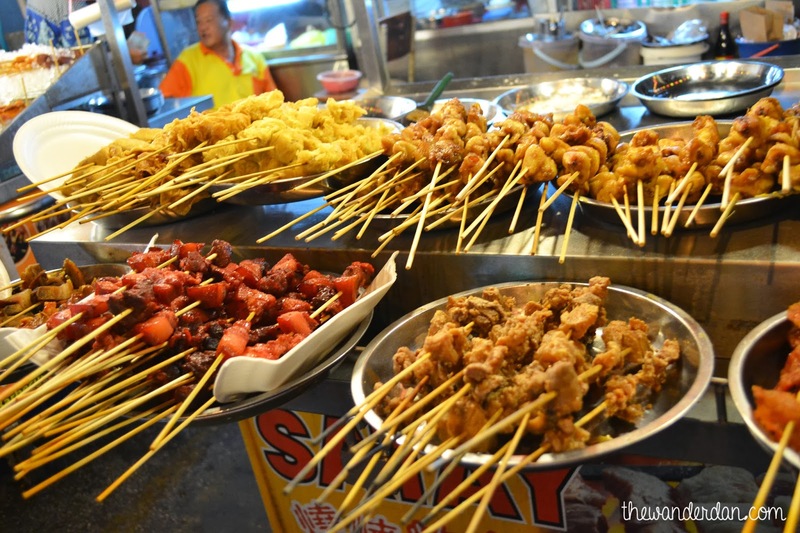 I had the chance to hop on a variety of tourist spots in Kuala Lumpur, but more than the visual feast, it was the feast on my table that I got a more detailed memory of. It was December but the temperature was far from the usual yuletide season, the consolation I had was that it wasn't very humid so walking doesn't make you feel sticky. 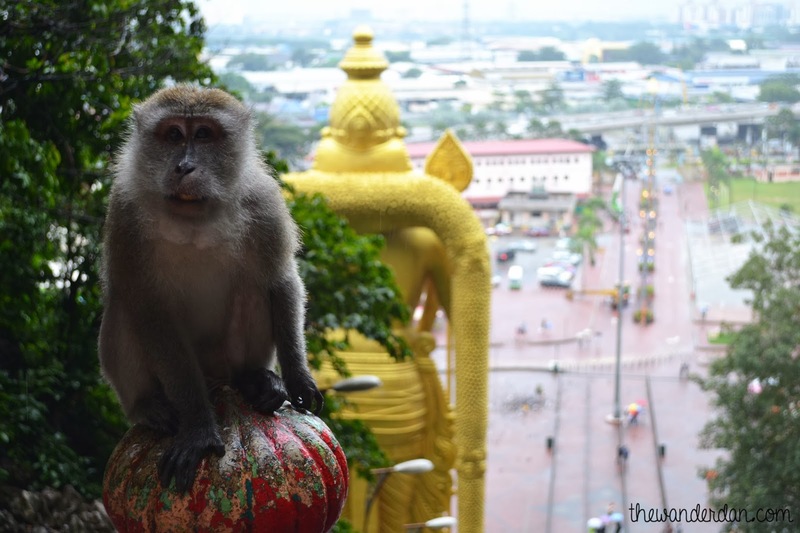 After my last trip which felt like an amazing race, trying to see as much as possible on a limited time, my Malaysian retreat was more of a self-indulgence, of having no strict itinerary schedule nor having a quota for the day. 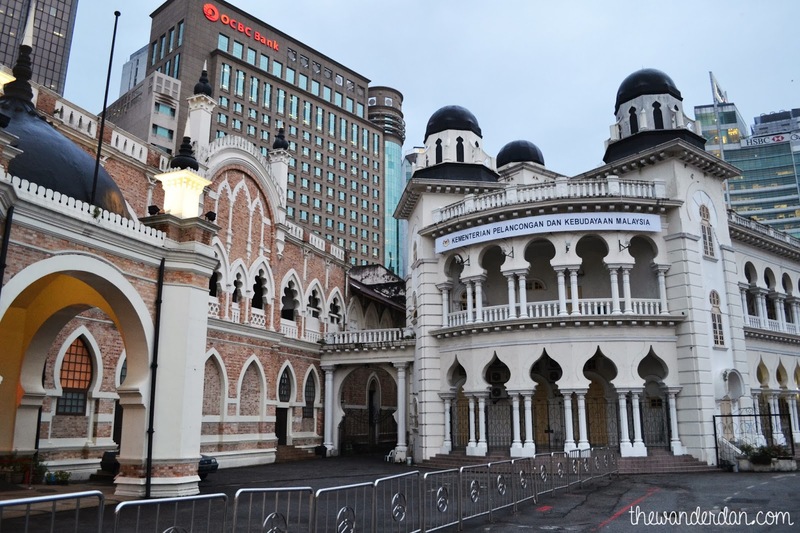 Although I must highlight a few must-see in Kuala Lumpur, other than this, everything was just, smooth and free flowing, something I really am astonished about and the reason why I didn't want to go out much beyond Kuala Lumpur. It was quality over quantity. There's only a few IKEAs in Asia and every time I visit a country who houses one, it definitely contributes a box on my check list. 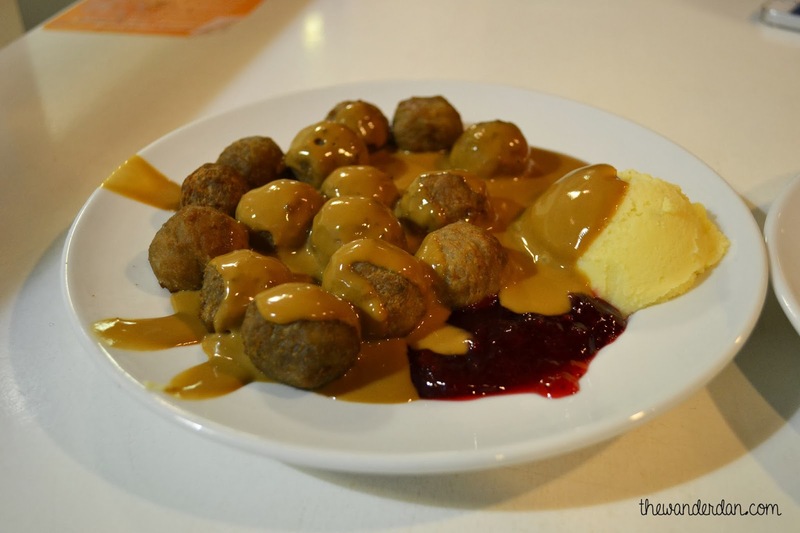 Recently, there was a meatball-hype in IKEA and right when I had my first meal in Malaysia, I then swore this trip to be an eating-adventure. The meatballs were perfectly cooked paired with a creamy gravy, best with Mashed Potato. 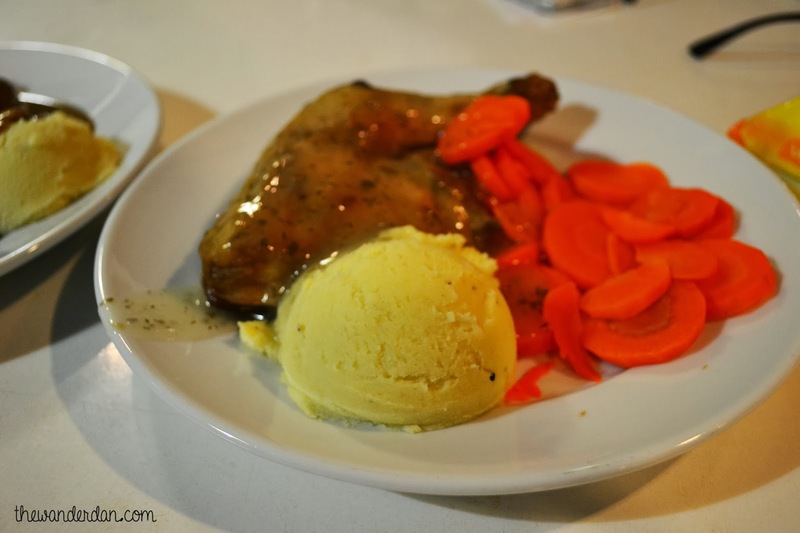 But I also tried the Herb Chicken with Strawberry Jelly, which was odd, but appetizing anyway. 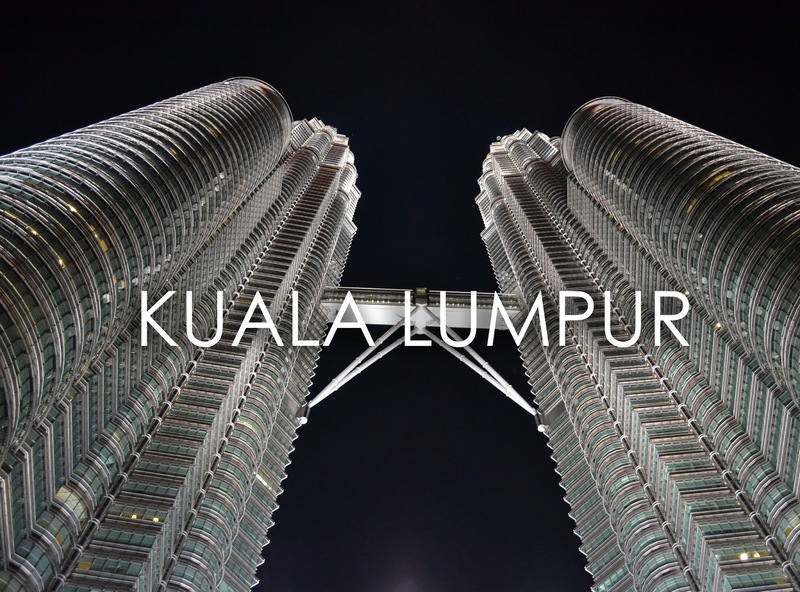 It is requisite that a visit be paid to the twin marvels of Kuala Lumpur, standing tall being the most regal structure I have ever seen. The Petronas Twin Towers from a far look like to glowing candles and the soonest you come closer, it is inevitable to pin your eyes on this sight. I had a remarkable encounter with the twins because I didn't know I was already standing in front of it. Check out the start clip of this video. Since the Filipino movie 'Miss You Like Crazy', the towers has been seen as two people, holding hands with each other. Indeed, they really does look like a couple, sharing the sky, chained to each other, defying the space in between, not willing to let go. It is peculiar how such the imagination plays when you are faced with a wonderful piece of art. I see it as candles, other call it space ship hoisted from the ground, there's just no limit to what you can thing of. 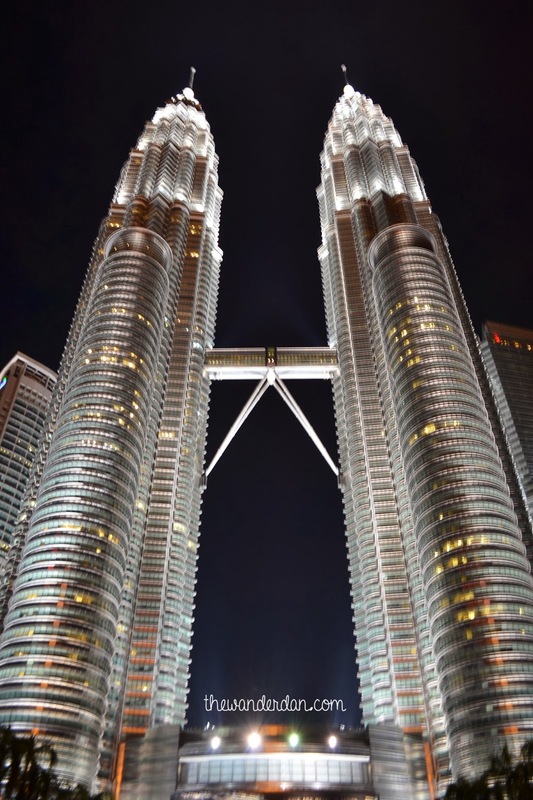 I took a few more minutes gazing at the foot of The Petronas when the hunger games started its prequel in my stomach. 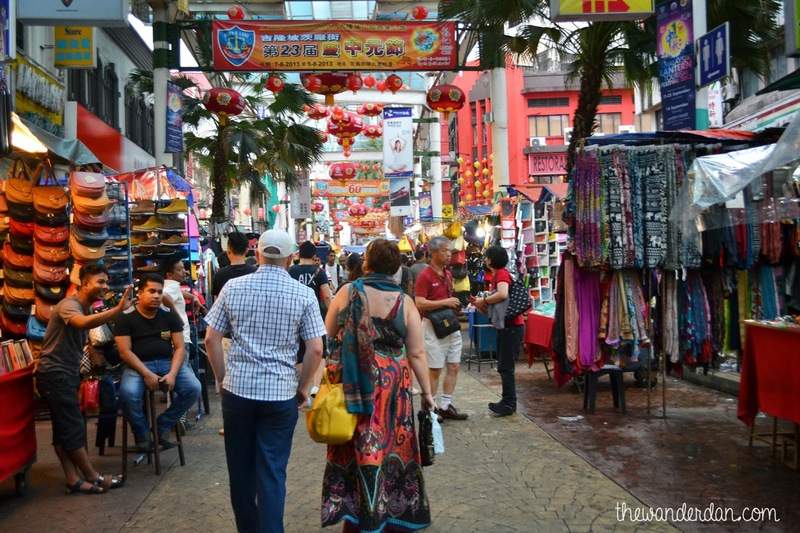 Onwards with about a thirty-minute walk, passing by some local artists and some Persian bars along the busy shopping district of Bukit Bintang, we reached the all-famous Jalan Alor. 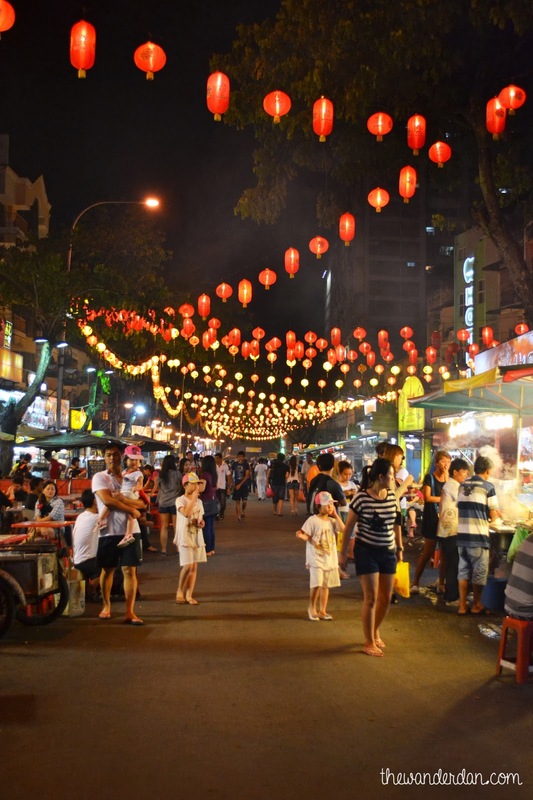 Jalan Alor was a whole stretch of a street filled with hawker-style dining. When I heard what it was about and saw what really is, I wasn't quite sure if I was up for this kind of food adventure, though the mood is very festive. I wouldn't say I am delicate in terms of food choices, it's just that growing up, I haven't been exposed to eating street-style gourmet because I don't have the toughest digestive system. But I was starving and the growls of my tummy was getting louder, begging for attention. 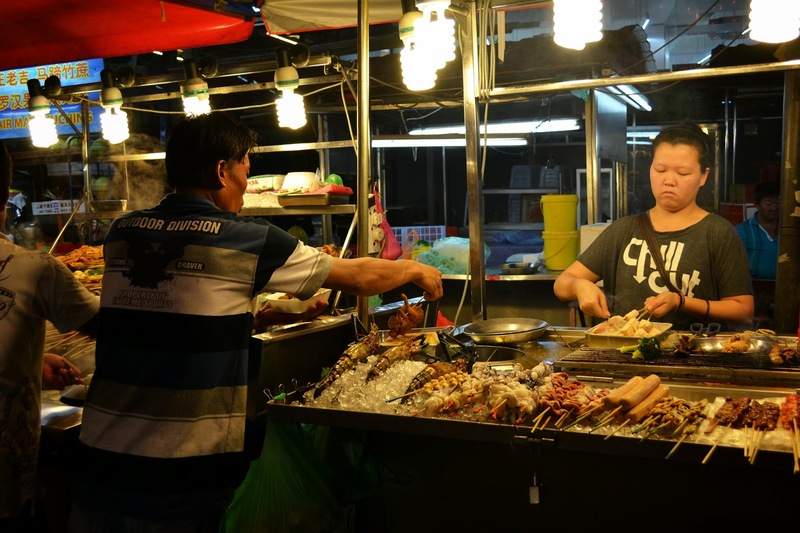 The entire street was filled of all kinds of food you could crave for. 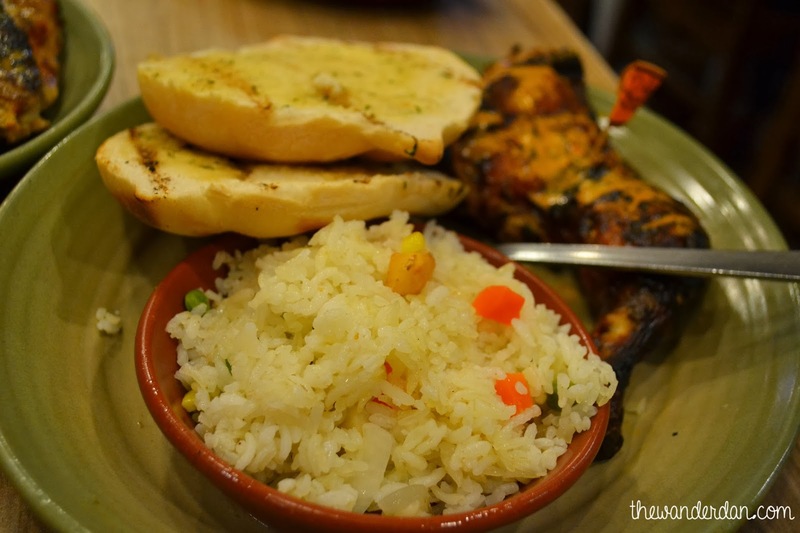 It made my hunger worse because I could not decide what to digest. We sat down and the motion of the people were unstoppable. 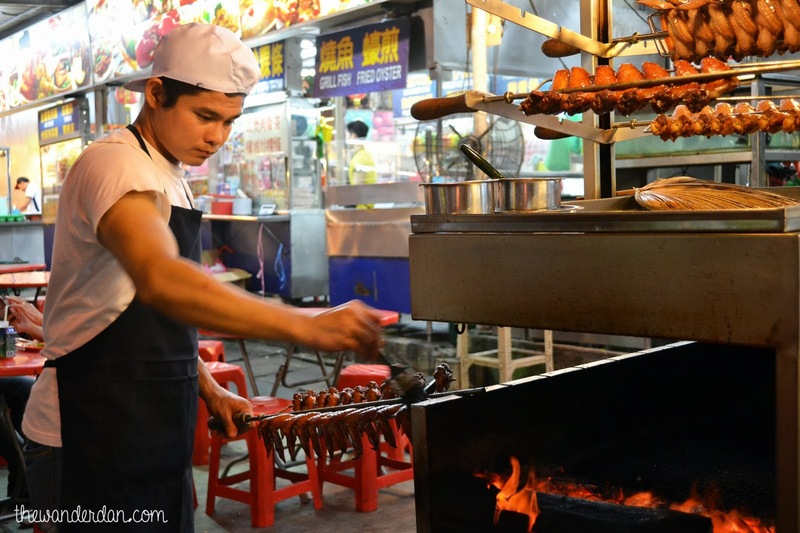 Chicken wings grilled, roast pork being chopped, noodles being braised, dumplings being steamed. 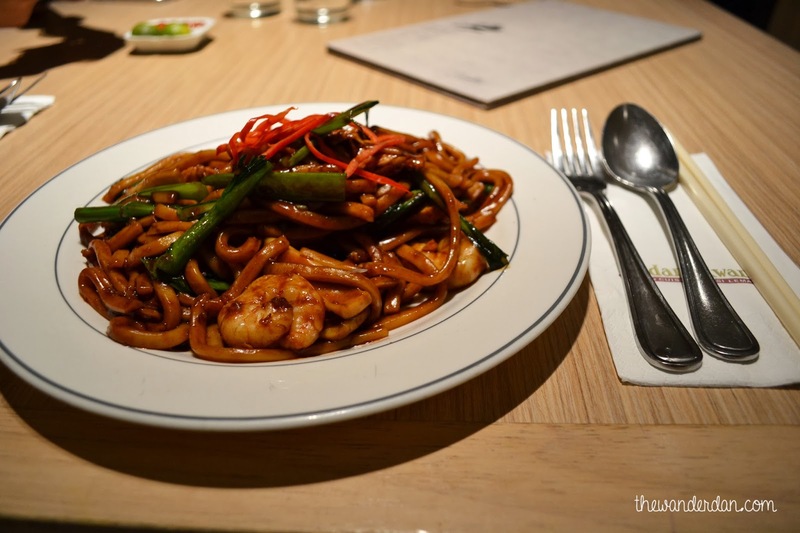 The menu arrived and I wanted to order everything, in the end, we had Garlic Prawns, Hookien Noodles and Sweet and Sour Pork. 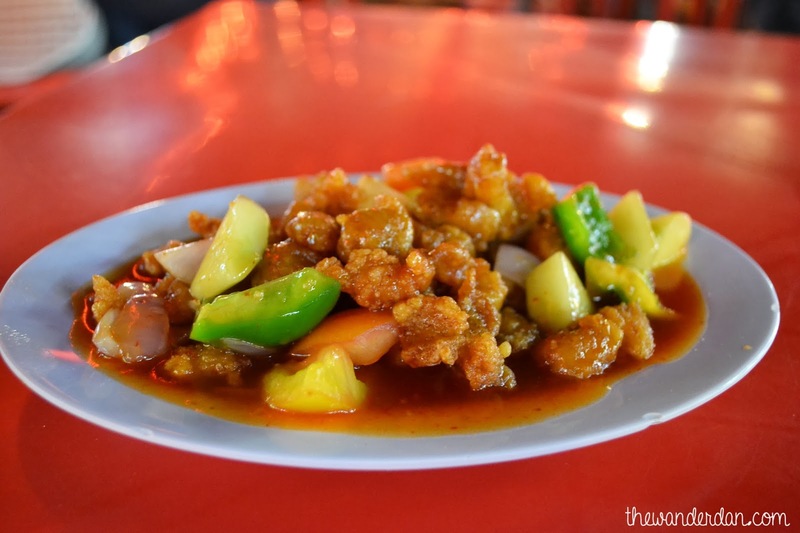 As my family's favorite, it was impeccable for me to order my favorite Sweet and Sour Pork. 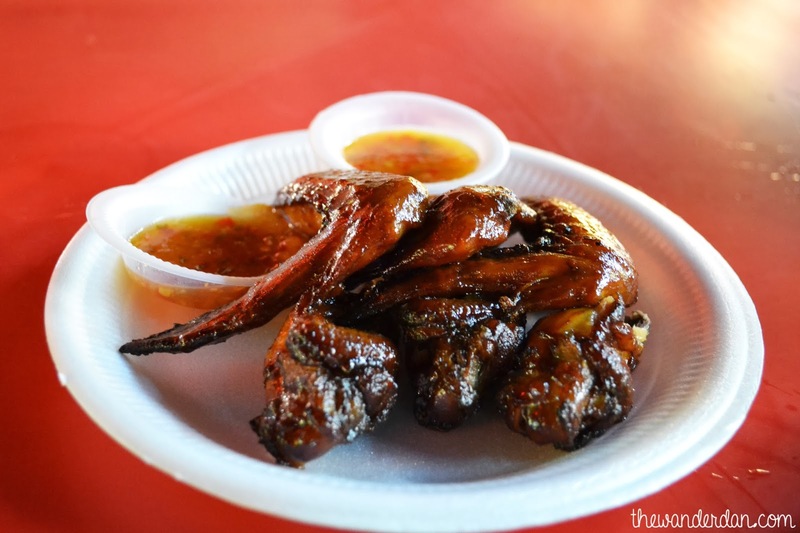 I have had tried this dish for so many times but it wasn't until this moment, sitting on a red chair on a plastic table, in the middle of noise and smoke, under a tri-colored beach umbrella, that i discovered best Sweet and Sour Pork of its kind. 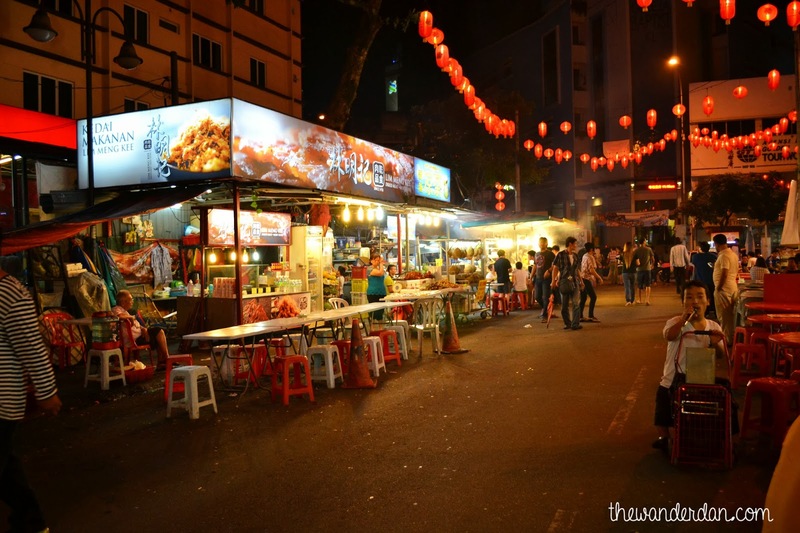 Suddenly, stree-style eating became my favorite that I insisted for us to be back in Jalan Alor the following night. It surely isn't the fanciest, but then sometimes the best things in life are not really for free, but almost close to it. 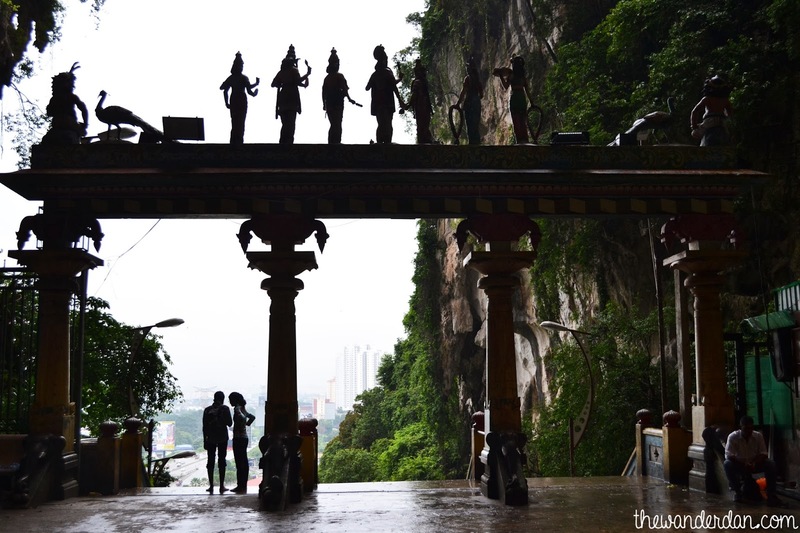 The Batu Caves is one of the three most popular destinations in the city. 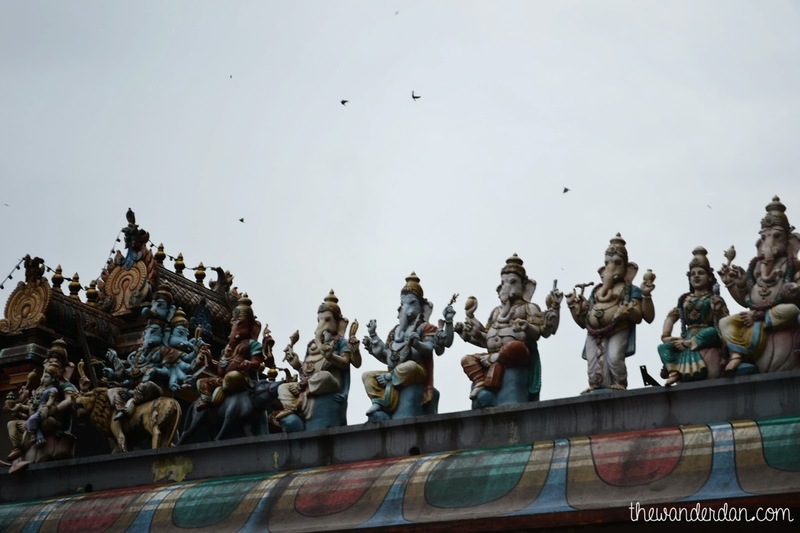 It is a religious melting pot for Hinduism. It was such a beauty and the drizzles of rain made it even special although made it difficult to move. 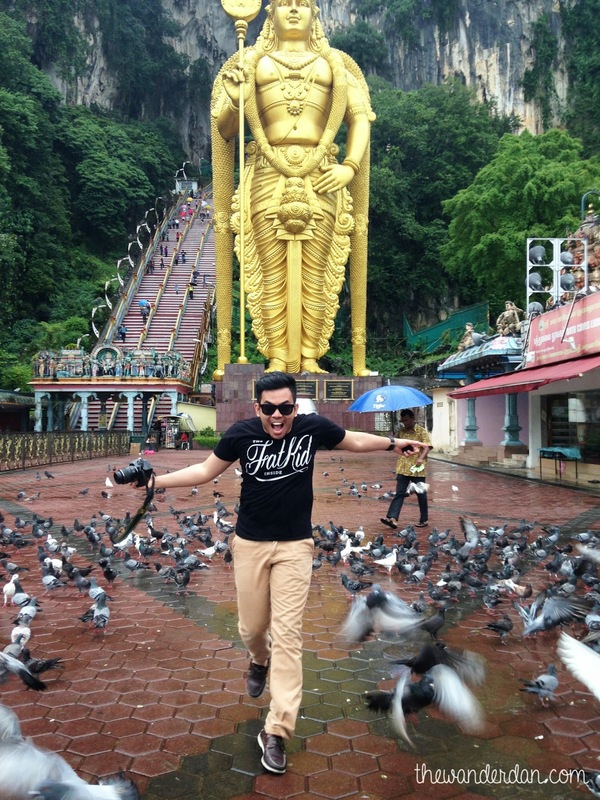 Regardless, I run after the doves that serve as guardians of the temple. Conveniently, the cave is connected with the train so it is very easy to go to but would take about an hour to travel to. 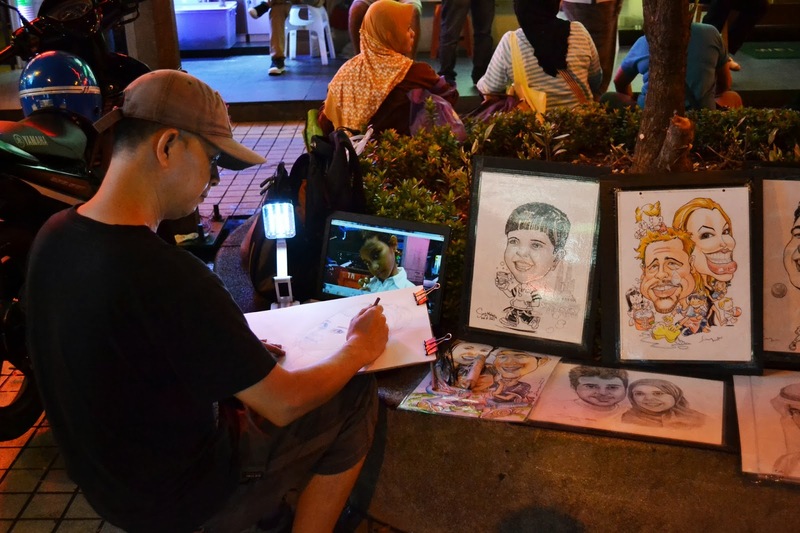 As the sun began to set, it was the right time to drop by The Merdeka Square, it is where the people of Malaysia gathers during festivities or national events. This also serves as a jogging trail for those who wants to go out and run. 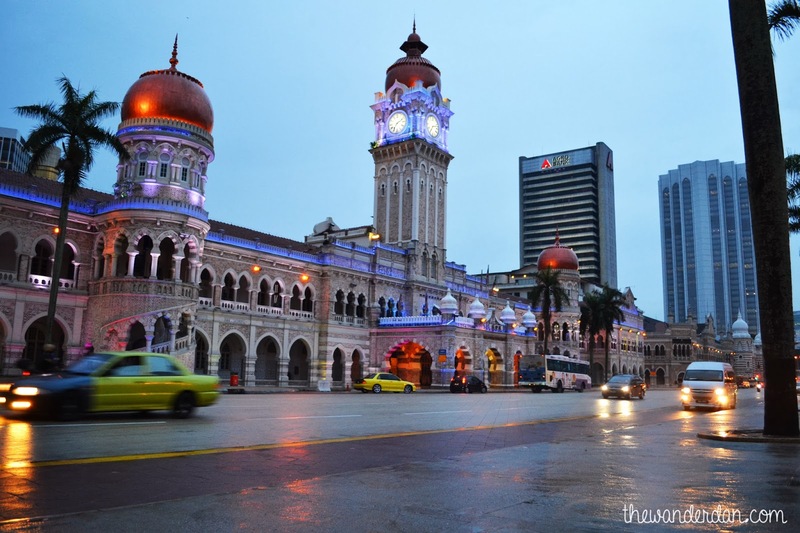 At night, it is wrapped in beautiful lights making it another tourist attraction. 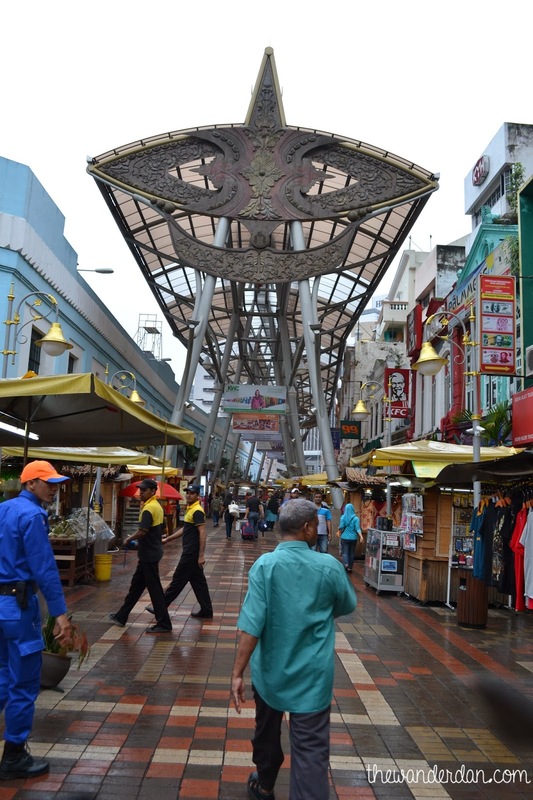 Around it are mosques and muslim architecture so it is really worth dropping by. The Midvalley could be my favorite mall in Kuala Lumpur among the countless, evasive and overwhelming malls in the city. 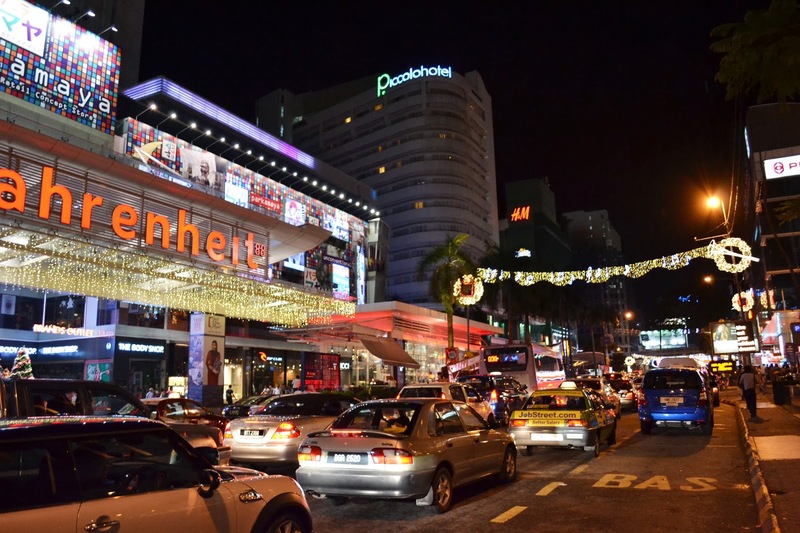 For one reason is that it is a shopping haven. 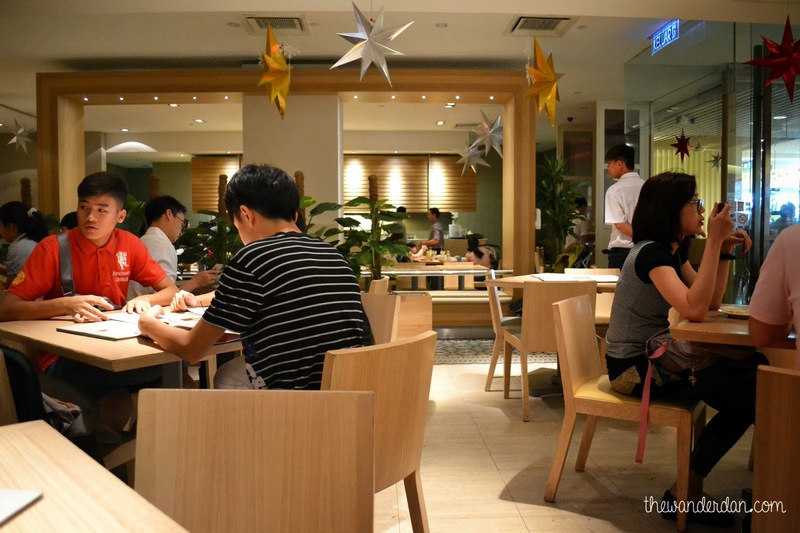 Next is that it has a splendid choices for dining. 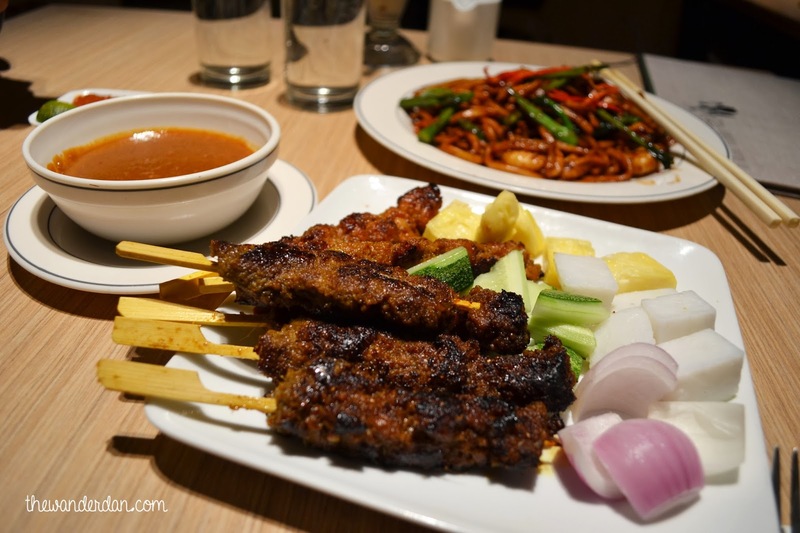 My favorite Malaysian restaurant is Madam Kwan's where I take pleasure eating the Hookien Noodles on top of a variety of Malaysian/Indian cuisine. 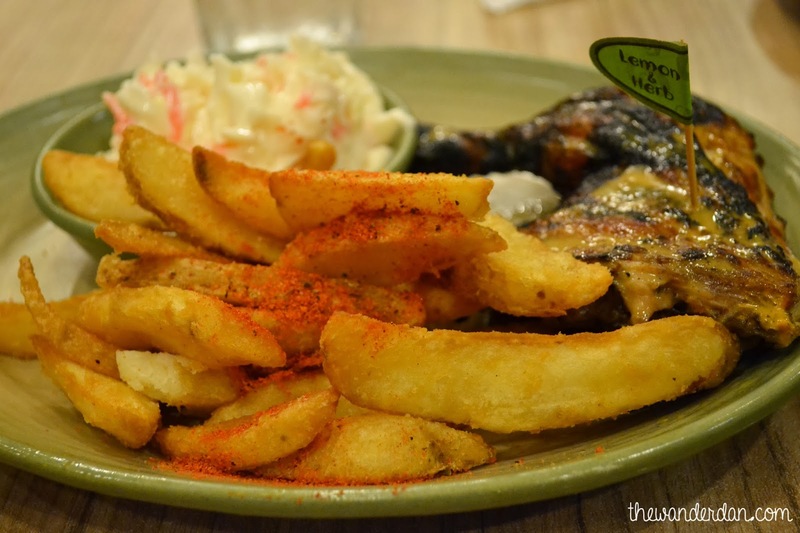 Although not Malaysian in nature, Nando's Chicken, a South-African restaurant is one of a kind. 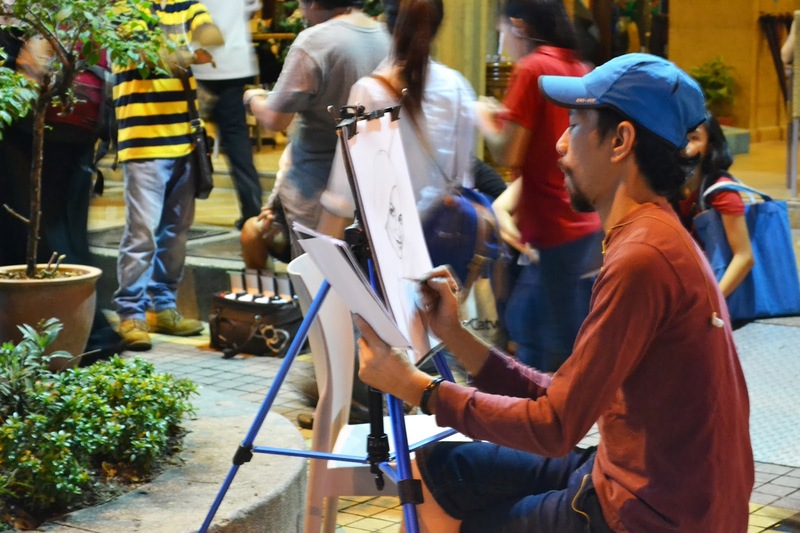 Making the city truly diverse. Finally, memories and photos would be wonderful, but souvenirs and gifts would best compliment the experience. 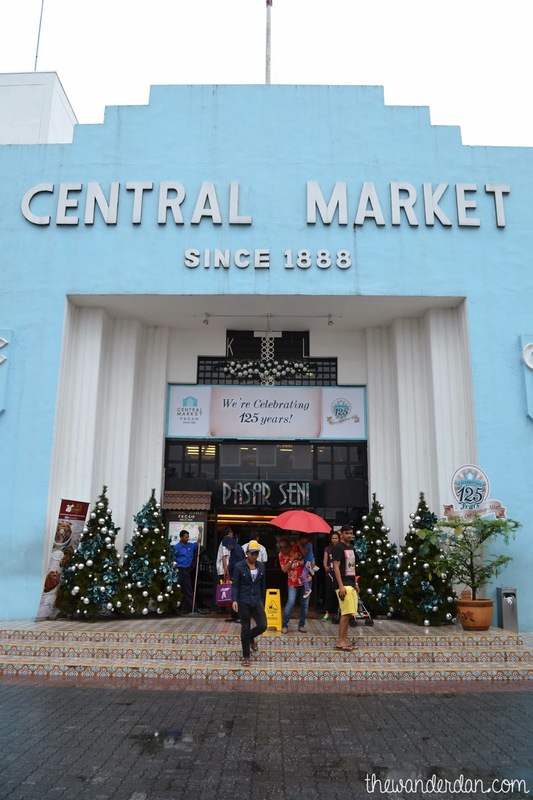 The Central Market is a shopping delight for those who scavenges for cheap yet quality gifts. 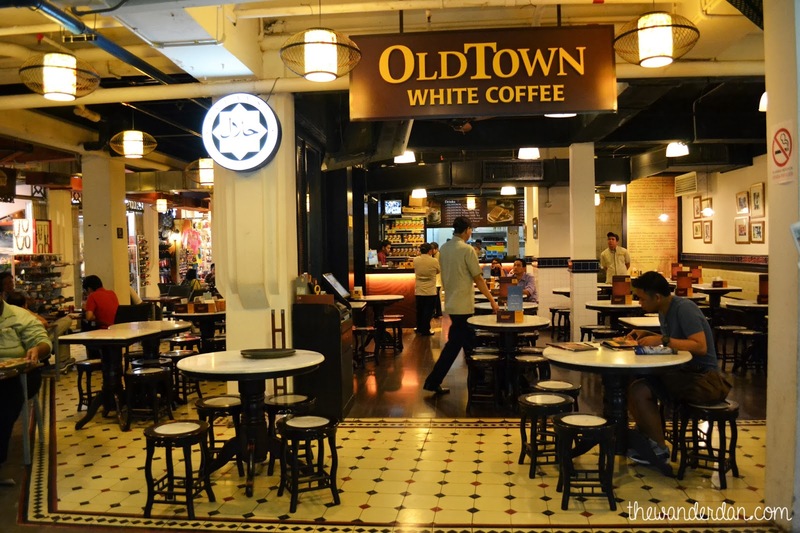 If you are hungry, you can find The Old Town cafe in this place. 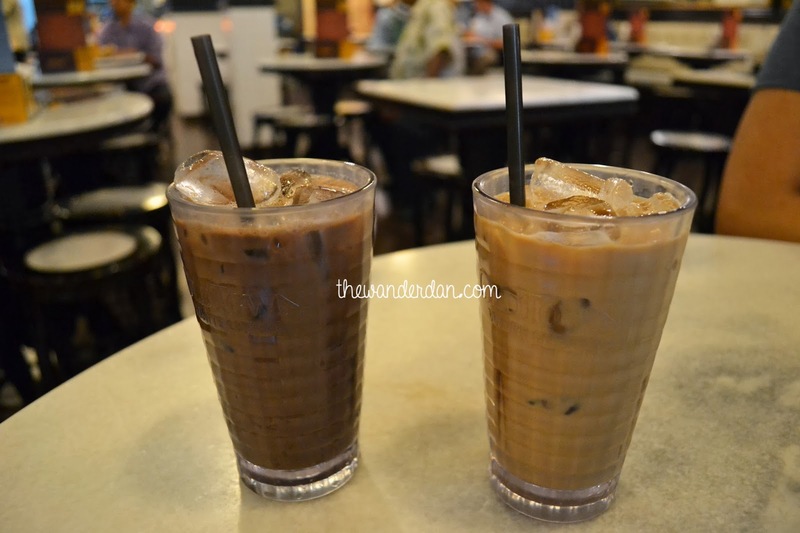 The Old Town is a famous coffee and tea brand in Malaysia and is a favorite gift to travelers. 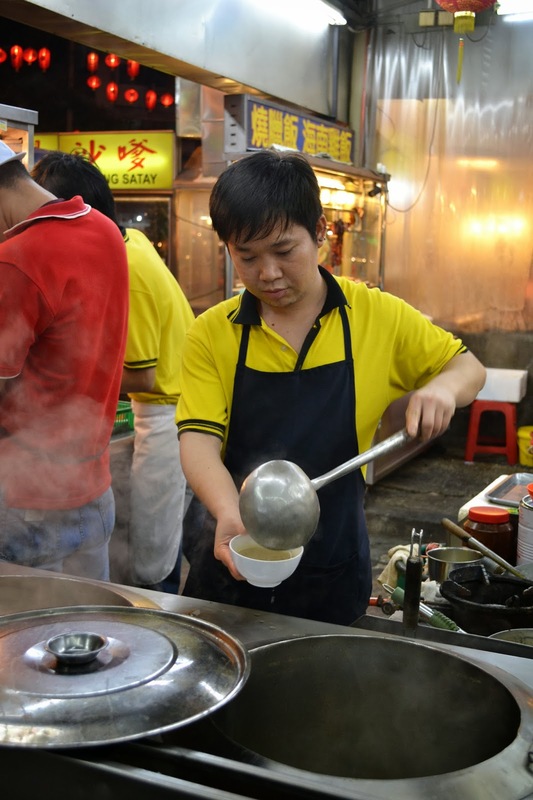 Unlike other Old Town Cafes, the one in Central Market has meals such as noodles and Rotis. 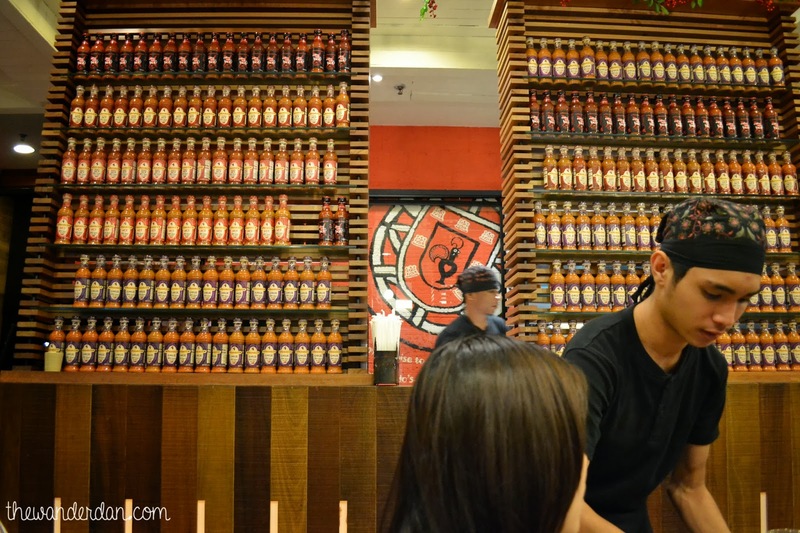 A mandatory dining experience. You'd find one at the airport too but they only serve sandwiches and drinks. 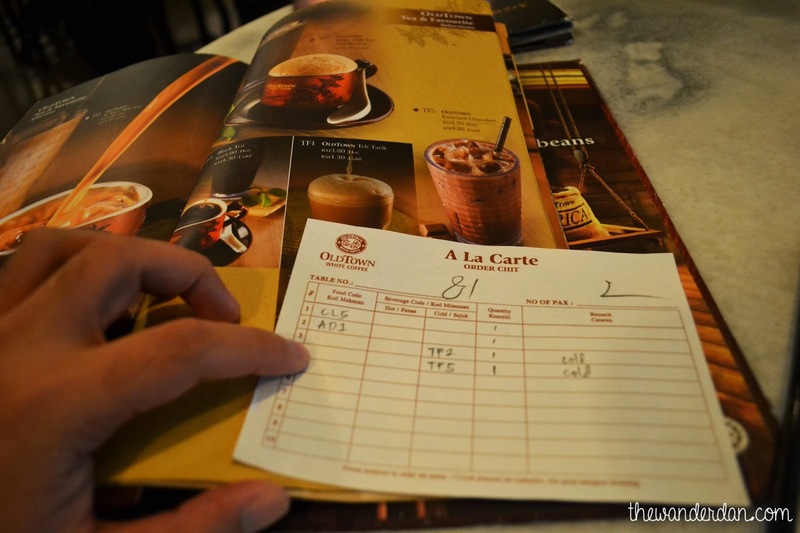 You will be handed a piece of paper to write down your order, this way you don't really have to deal with language barriers, just in case, although majority speaks English. 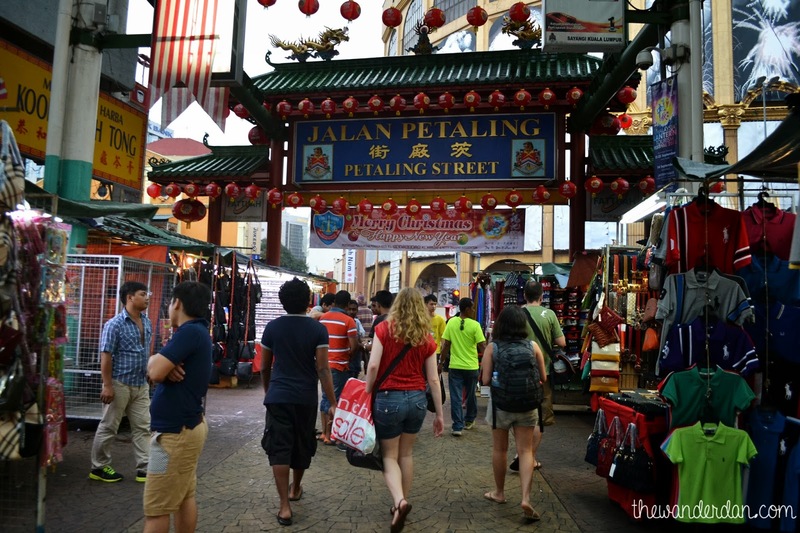 You walk a few more meters away and you will reach the Petaling Street or known as the Chinatown. This is where I got to bargain some snowglobes and key chains three fourths off the initial price. 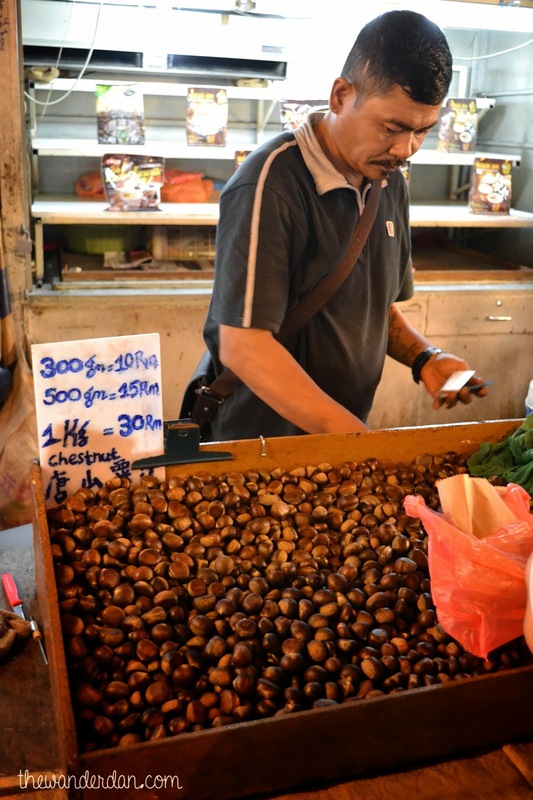 As a traveler, the best thing I learned is how to haggle, although it runs in my genes. 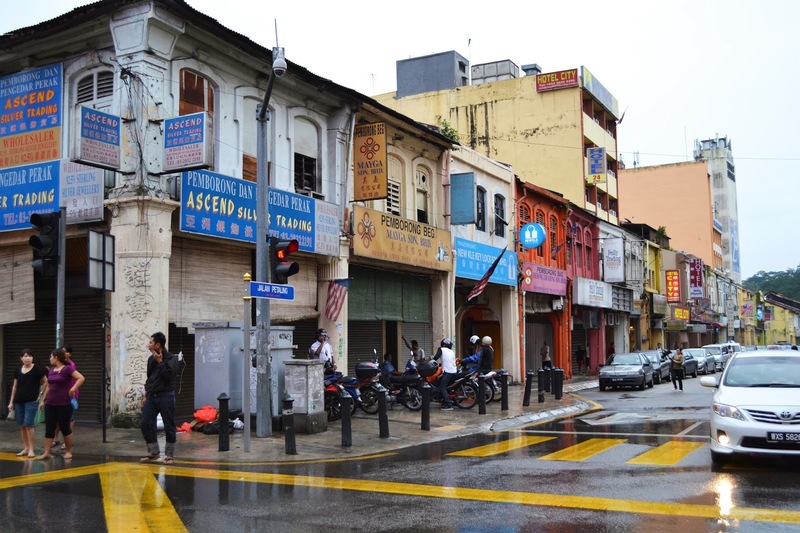 The almost week-long in Malaysia had me known who the country was, albeit my senses just roamed around two cities in the country. 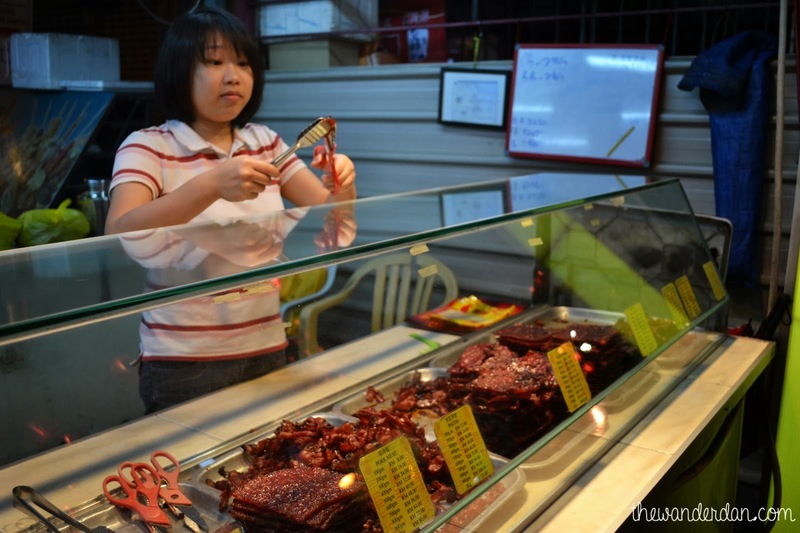 What does it really take to be Truly Asia? 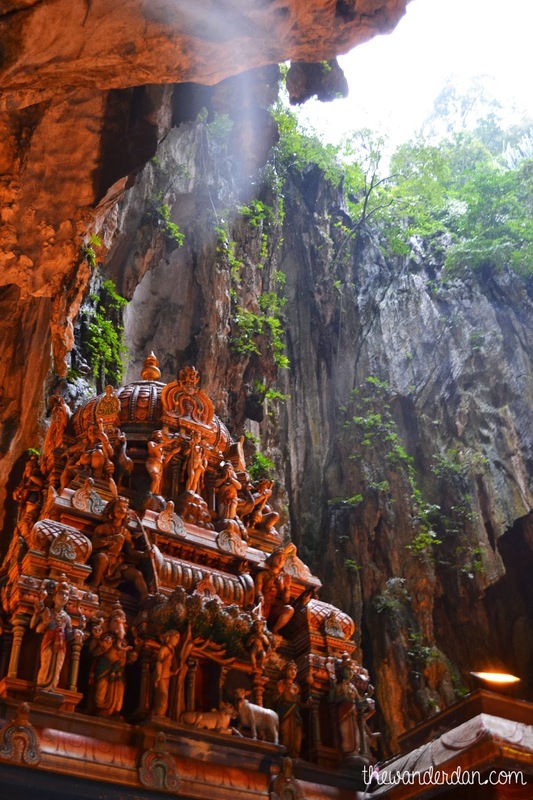 What makes Malaysia the purest form of a continent very rich in tradition and culture, whose people are born amazing. One, because it accepts people despite of culture and identity, allowing it to blend in a sea of Asians living harmoniously amidst the differences in color, belief or ways of life. Each of them having an equal place to show the world how beautiful they are inside out, no culture over powering the other. 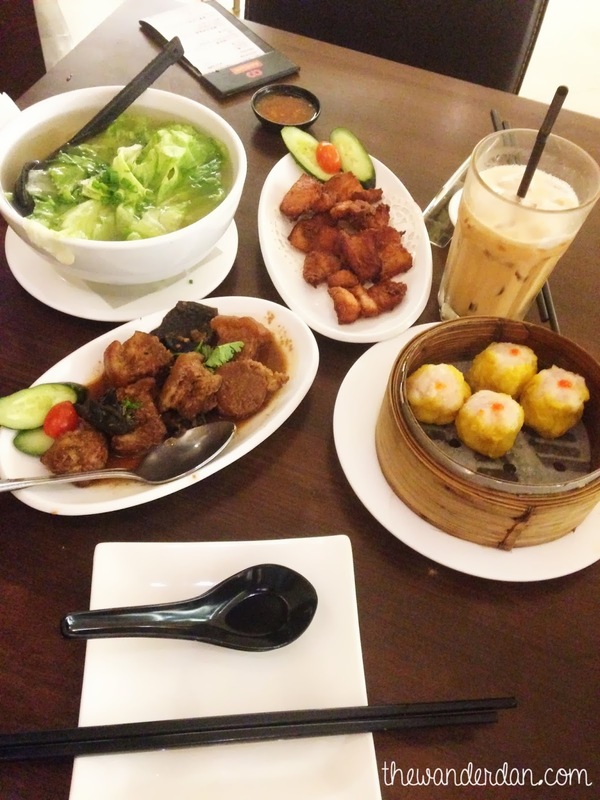 Second, because Asia is most importantly about the food. This makes us apart from the rest of the world. Ours is very rich in taste and of ingredients that are bizarre to the world. Regardless of size, a grain or a pinch of spice makes the taste totally different. And in every taste, there is a story, a story that has brought our ancestors living til the present. 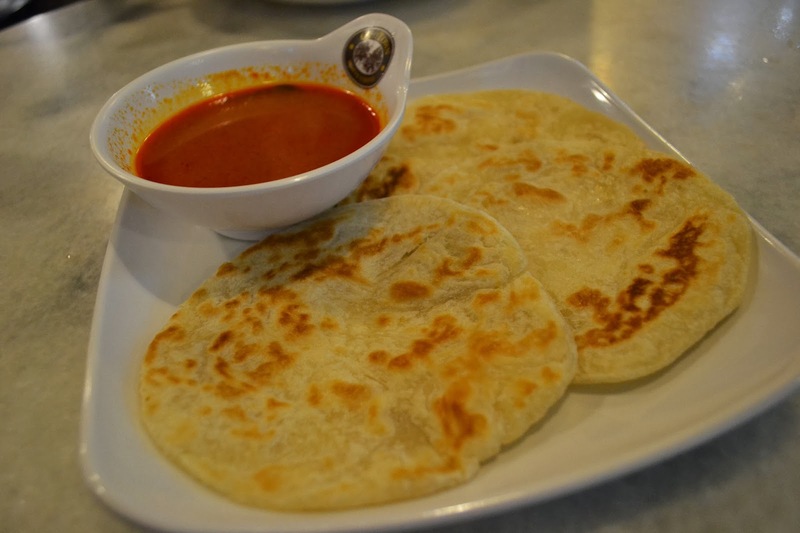 I may not be Malaysian, but I value the Malaysian identity it has marinated over its delightful cuisine, making me gain about 7 pounds from the day I landed at the airport. Third, because it is a country who has embraced the future, but has never forgotten its colorful past. It is good to see individuals are given importance on learning. Persons can now get a specialized degrees with the support of online study in Dubai and set themselves up for a pleasing occupation earlier than peers.